In 1897, Colleen and Samuel Quaice discovered a mysterious book in the Upper Wolverhampton Bibliothèque. As soon as the two siblings opened the book, the skeletal Gatekeeper emerged and pulled the pair into The Maze of Games. In 2014, readers discovered copies of The Maze of Games, documenting the sibling’s passage through that labyrinth. Readers were tasked with squaring off against each of the puzzles the Quaices faced along the way, with every solve unlocking the next page of the story. This “interactive puzzle novel” format added a welcome twist to the gamebook genre without infringing on the litigious Choose Your Own Adventure franchise’s intellectual property. After four long years, the first group of readers successfully completed The Maze of Games‘ puzzles, finally freeing the Quaice siblings and unlocking one final Maze of Games Kickstarter campaign, The Maze of Games Omnibus and Escape Room Experience. The campaign allows backers to obtain an in-universe answer key, as well as a chance to buy in for the full experience, with components including a soundtrack composed by Austin Wintory, an audiobook narrated by Wil Wheaton, a radio show, and even a Maze of Games themed escape room in Seattle. How Exactly Does The Maze of Games Work? The Maze of Games prologue starts off like a traditional book, with a brief introduction to the Quaices and their plight. Once the pair encounter the Gatekeeper, they are charged with solving an initial puzzle to gain entry to the Castle Maze. The Maze of Games is themed around a deck of cards, with each suit representing a “chapter” of the story. With standard Choose Your Own Adventure novels, players are given multiple choices. However, The Maze of Games only has one correct pathway through its pages, determined by the four mazes contained within. Figuring the optimal path through each maze will provide each chapter’s intended reading (and solving) order, with each suit getting increasingly difficult. Even readers tackling the book alone should be able to make it through the initial Castle Maze of Diamonds…it’s the Cloud Maze of Spades and its final meta-puzzle that had readers confounded for the past four years. Lone Shark Games even released The Theseus Guide to the Final Maze, a chapbook that offered hints to see Colleen and Samuel through to the finish with yet another series of puzzles. And while audio-inclined readers couldn’t solve the Maze of Games audiobook, Wil Wheaton’s acting quickly made the audio edition my preferred way of experiencing the story, showing off an impressive range as he embodies the host of helpful (and somewhat less-than helpful) characters the siblings encounter along the way. Conveniently, the audiobook comes in “solved” and “unsolved” ordering, so listeners can appreciate the narrative in the style of their choosing. The Maze of Games wiki has hints for every puzzle (including the final challenge) to nudge readers on to the solutions should they find themselves stuck. What Lone Shark Games’ 2019 Maze of Games Kickstarter campaign is adding to the mix is The Keymaster’s Tome, a reproduction of the journal the Quaice siblings might have used to navigate The Maze of Games, with “answers, conversations, and tidbits hand-written in the margins”. The campaign also introduces an audio recording of The Theseus Guide to the Final Maze and a radio play, The Gatekeeper’s Variety Hour, featuring both musical and puzzle guests. The Maze of Games: Now a Physical Escape Room? Readers of the newest edition of Puzzlecraft may already be familiar with the concept of a Maze of Games-themed escape room, as Gaby Weidling used the idea to illustrate the process of escape room development in the book. Lone Shark Games partnered with Epic Team Adventures to transform that idea into a reality, with a themed escape room in Seattle that opens up…today, March 14th. The room’s construction is a bit atypical for escape rooms, with four different rooms all making use of the same space. As with all Maze of Games productions with an audio component, Wil Wheaton is reprising his role to narrate the escape room. All backers who contribute $15 or more will receive a $35 discount code for the room in which Selinker and Weidling find themselves trapped. Which brings us to the Kickstarter campaign. ARGFest-o-Con, the annual conference dedicated to bringing together players and creators of alternate reality games and transmedia storytelling experiments, is heading north to Ryerson University in Toronto, Canada between July 26th and July 28th. Over the past 11 years, ARGFest has played host to city-wide puzzle trails, panels, and live events that allow attendees to roll up their sleeves and practice what they preach, playing through interactive experiences in between discussing past campaigns and best practices. Last year’s conference won Bloomington Indiana’s “Host of the Year” award. In addition to the mainstays of previous years, ARGFest 2012 is adding a little something extra: an advanced screening of The Institute, a documentary about San Francisco’s long-standing alternate reality game, The Jejune Institute. For those unfamiliar with the project, The Jejune Institute was a highly immersive alternate reality game that took place in San Francisco over the course of three years. The narrative centered around a secretive new age cult, leading players on an exploration of the city that asked them to discover hidden secrets by following puzzle trails throughout San Francisco that showcased overlooked landmarks both real and fictional. The 90-minute documentary features interviews with the game’s developers at Nonchalance and some of the game’s players/inductees. The Nonchalance team were panelists at a previous ARGFest, providing an introduction to the experience. 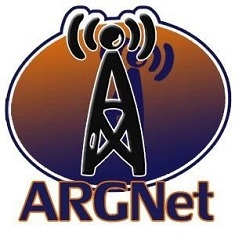 Early-bird registration for ARGFest is open until May 31st, so you still have two days before the cost of admission goes up. Keep an eye on argfestocon.com in the coming weeks for updates on speakers and events. Six to Start have recently introduced their latest independent game, Zombies, Run!, and it has taken only days to reach the desired amount of pledges on Kickstarter to develop it by the first quarter of 2012. It is easy to see what has gotten gamers, runners and zombie aficionados so excited. Zombies, Run! is a running game and interactive audio adventure which takes place during a zombie apocalypse. The game mechanics are fairly simple. The player assumes the role of the zombie survivalist known as “Runner 5” by going for a run with their smartphone and a pair of headphones. As players run, they collect items that are vital for the survival of their community. Their base grows thanks to the player allocating resources where they are needed most. And as it grows, more content will be unlocked. The running missions are an integral part of a transmedia storyline which unfolds through the orders and voice recordings heard while running, and also through puzzles, websites and documents that players can uncover online once they have safely returned home. As an exercise aid, the game also keeps track of more traditional running metrics such as distance covered and calories burned. Digital Book World, an online community for publishing professionals and host to the StoryWorld Conference + Expo, will feature ARGNet owner and senior editor Michael Andersen in StoryWorld’s July 27th WEBcast. The webcast is titled What’s Possible with Transmedia: Case Studies in Successful Projects and will air at 1:00 p.m. EDT. According to Digital Book World, the transmedia campaigns that Andersen will talk about during this roundtable webcast include HBO’s recent Maester’s Path experience; Chain Factor, the Numb3rs tv series’ episode tie-in experience (and addictive flash game) from 2007; and Valve’s Portal 2 ARG. Attendees may register here for this free webcast. Registration is required to attend the free webcast and to access the audio recording. For those interested in attending the StoryWorld Conference + Expo, ARGNet is pleased to offer our readers a promotional code. When registering for StoryWorld, use the code ARGN11 to receive $50 off the early bird price for StoryWorld’s conference registration. Six to Start and the BBC have teamed up to create a transmedia experience tied in with BBC Two documentary The Code, expected to air at the end of July. The Code is presented by Professor of Mathematics Marcus du Sautoy (Horizon on BBC2, The Beauty of Diagrams on BBC4) and explores how the world around us conforms to and can be explained by mathematical codes. Six to Start are next-generation storytellers with plenty of experience creating storytelling projects for different clients, often in the form of alternate reality games or treasure hunts. They’ve worked with the BBC before on projects like Spooks: Code 9 and Seven Ages Quest. As a first for the BBC and possibly a world first, an interactive experience called The Code Challenge has been seamlessly integrated in the writing and filming of The Code since inception. Viewers can participate in an engaging treasure hunt which will take place before, during, and after the series that will extend their understanding of basic mathematical principles. The Code Challenge begins well before the airing of the actual show. Soon, 1000 people in the UK will receive a secret message with one of the first puzzles of the challenge. For a chance to be one of those 1000, keep an eye on Twitter @bbccode and apply via Twitter or e-mail. A few weeks before the show airs, several Flash games containing clues, puzzles, and more information about the Code will also appear online. The series itself is expected to air at the end of July and will be split into three 60-minute episodes: Magic Numbers, Nature’s Building Blocks and Predicting the Future. Six clues are connected to each episode. Three will be hidden in the programme itself, which can be watched live on BBC Two or on BBC iPlayer. One community clue can only be solved by working together with a group of players. Two further clues will be revealed on the blog and through a Flash game. Players can then enter the six answers they found for each episode into the ‘codebreaker’ to receive three passwords with which they can unlock the ultimate challenge.